Summer is here, and that means lazy days of sun, sand, and sweat. It’s all the fun you dreamed about during the depths of winter, but it comes at a price: the warm weather elements can destroy even not-so-sensitive skin. It’s hard to show off a shimmery summer glow when you’re just trying to keep your skin hydrated and healthy. Arm yourself with the right natural beauty products to combat these harmful elements and make your face radiant again. Try reading these 10 natural beauty books to get your beauty routine back on track. Both you and your skin will be happy you did. Forget paying big bucks at a spa, or slathering on overpriced “mystery cream” that contains who knows what. 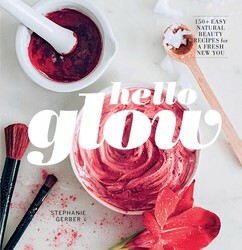 Make your own fresh, organic, and effective spa, skincare, hair-maintenance, and cosmetics recipes at home with these beautiful, tried-and-tested tutorials, brought to you by the popular DIY beauty and wellness website helloglow.co. 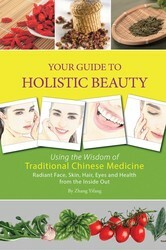 Traditional Chinese medicine (TCM) approaches the concept of achieving and maintaining beauty from the inside out. A tree can't have beautiful foliage unless it has a strong root system, and likewise the human body can't show beautiful radiance unless its internal organs and systems are kept healthy and nourished. This exemplifies the core concept of yi nei yang wai—to nourish the inside so it shines outside. 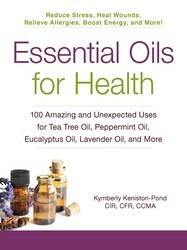 Discover the power of pure essential oils! From tea tree and lavender to eucalyptus and peppermint, essential oils have been praised for their ability to lift moods, treat common health ailments, and enhance one's appearance. Essential Oils for Health shows you how to use the all-natural oils in your daily health and beauty routine, from controlling emotional stress to clearing sinuses to smoothing fine lines and wrinkles. 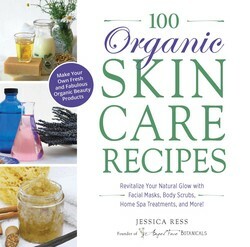 Filled with all-natural ingredients like shea butter, essential oils, and brown sugar, each recipe in 100 Organic Skincare Recipes gives you the opportunity to mix up your own beauty products--without any of the hazardous chemicals you'd find in store-bought brands. 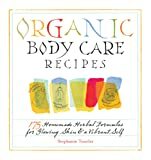 Whether you have sensitive skin or just want to switch to a natural beauty routine, these step-by-step instructions will teach you how to use oils, herbs, and other easy-to-find ingredients to make amazingly effective organic skincare recipes. 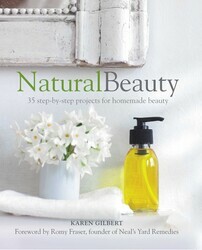 In Natural Beauty, natural skincare and fragrance expert Karen Gilbert shows you how to make your own lotions and potions at home, using readily available, natural ingredients and easy-to-follow methods. For the face, there are moisturizers, masks, and cleansers; for the body choose from scrubs and shower gels, soaps and body lotions. 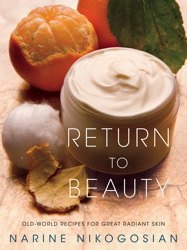 Return to Beauty offers regimens made from fresh ingredients that can be found right in your kitchen. With recipes for winter, spring, summer, and fall, you can look beautiful throughout the year. Narine Nikogosian's natural and inexpensive products can be whipped up in less than ten minutes. 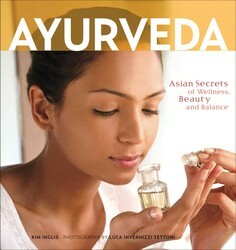 Discover India's age-old beauty secrets through the ancient wellness regimen known as Ayurveda. Healing therapies are clearly explained and illustrated with lovely photographs that bring to life the benefits of this 5,000-year-old Asian medical tradition. Treatments and practices from India's other healing systems—Unani, Siddha and Tibetan traditional medicine. 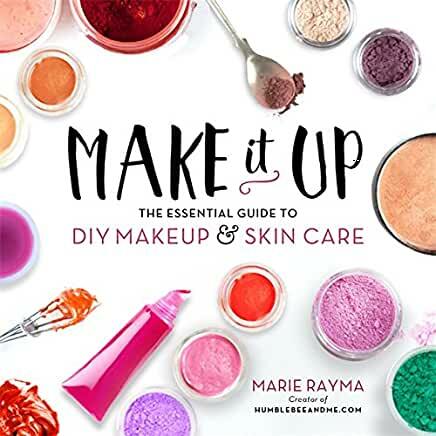 In Make It Up author Marie Rayma shares the recipes she has developed through years of trial, error, and testing to come up with the very best. This is real makeup and skincare: bright lipsticks, quality mineral powders, long-wearing eyeliners, and masks and cleansers that yield results. Many people suffer from skin conditions––acne, rosacea, eczema, psoriasis––and seek conventional medical help, but don't get the results they hope for. What they don’t realize is how good their skin can be when they adopt a cleaner, healthier lifestyle. 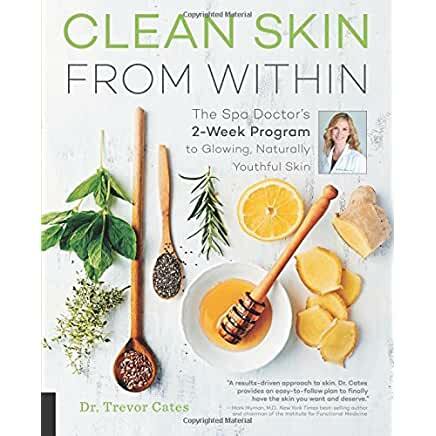 In Clean Skin from Within, Dr. Trevor Cates presents guidelines and recipes to transform your skin from the inside out. She explains the “why” of what’s happening, and how you can remedy problems. Discover the joys of all-natural body care. Stephanie Tourles shows you how to use fruit, flowers, herbs, and minerals to craft healthy products that promote radiant skin, strong nails, shiny hair, and an elevated mood. Gentle on your skin and free of harsh chemicals found in commercial products, you’ll want to indulge yourself over and over with these luxuriously aromatic bath blends, face masks, and body scrubs.